President Trump brushed off a report by the Washington Post stating that he "has gone to extraordinary lengths to conceal details" of his discussions with Russian President Vladimir Putin - telling Fox News host Jeanine Pirro in a phone interview that he would be willing to release the details of a private conversation in Helsinki last summer. "I would. I don't care," Trump told Pirro, adding: "I’m not keeping anything under wraps. I couldn't care less." "I mean, it’s so ridiculous, these people making up," Trump said of the WaPo report. In July an attempt by House Democrats to subpoena Trump's Helsinki interpreter was quashed by Republicans. 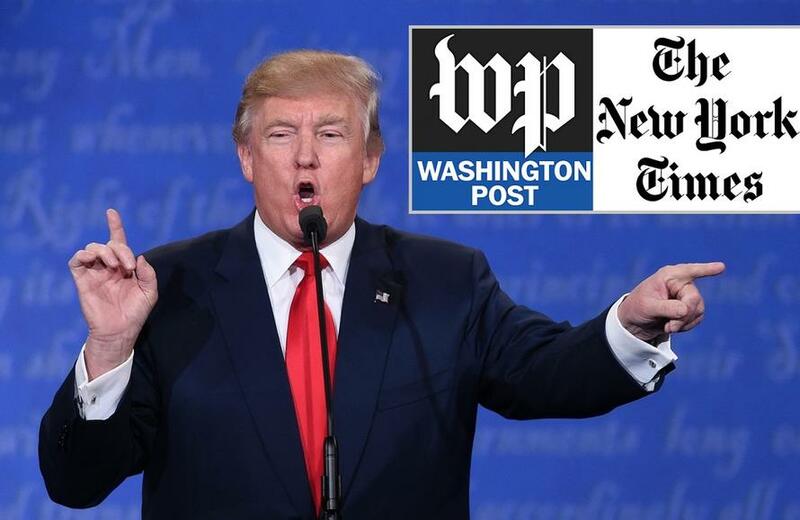 "The Washington Post is almost as bad, or probably as bad, as the New York Times," Trump said. When Pirro asked Trump about a Friday night New York Times report that the FBI had opened an inquiry into whether he was working for Putin, Pirro asked Trump "Are you now or have you ever worked for Russia, Mr. President?" "I think it's the most insulting thing I've ever been asked," Trump responded. "I think it's the most insulting article I've ever had written." Trump went on an epic tweetstorm Saturday following the Times article, defending his 2017 firing of former FBI Director James Comey, and tweeting that he has been "FAR tougher on Russia than Obama, Bush or Clinton. Maybe tougher than any other President. At the same time, & as I have often said, getting along with Russia is a good thing, not a bad thing. I fully expect that someday we will have good relations with Russia again!" Trump slammed the recent reports as "all nonsense."